Indoor or Outdoor Ceremony Reception for up to 200 guests $1500 4 hours of event time All weddings are based on a 4-hour full event time total $1500.00 Additional event time may be purchased at $200 per hour A minimum of $5,000 in food and beverage, inclusive of tax and service charges are required for Friday - Sunday events May – October and December. Menus start at $36/person plus tax and service charge Children menus available Bar charges vary, but always require a $75 set-up/bartender fee. Located on property conveniently adjacent to both our clubhouse and the championship golf course, our outside wedding garden is perfect for the ceremony of your dreams. 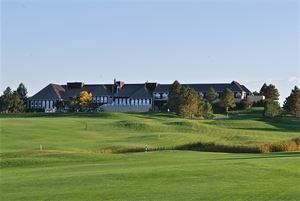 Special Features: Lone Tree Golf Club & Hotel is thrilled to be one of the top Wedding Venues in Denver on WeddingWire.com!